Published - Sept 26 2005 12:51PM PDT[AP}[p] LOS ANGELES(AP) Don Adams, the wry-voiced comedian who starred as the fumbling secret agent Maxwell Smart in the 1960s TV spoof of James Bond movies, "Get Smart," has died. He was 82. Adams died of a lung infection late Sunday at Cedars-Sinai Medical Center, his friend and former agent Bruce Tufeld said Monday, adding that the actor broke his hip a year ago and had been in ill health since. As the inept Agent 86 of the super-secret federal agency CONTROL, Adams captured TV viewers with his antics in combatting the evil agents of KAOS. When his explanations failed to convince the villains or his boss, he tried another tack: "Would you believe ... ?" It became a national catchphrase. Smart was also prone to spilling things on the desk or person of his boss _ the Chief (actor Edward Platt). Smart's apologetic "Sorry about that, chief" also entered the American lexicon. The spy gadgets, which aped those of the Bond movies, were a popular feature, especially the pre-cellphone telephone in a shoe. 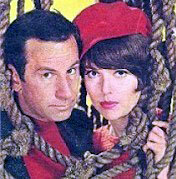 Smart's beautiful partner, Agent 99, played by Barbara Feldon, was as brainy as he was dense, and a plot romance led to marriage and the birth of twins later in the series. "He had this prodigious energy, so as an actor working with him it was like being plugged into an electric current," Feldon said from New York. "He would start and a scene would just take off and you were there for the ride. It was great fun acting with him." Adams was very intelligent, she said, a quality that suited the satiric show that had comedy geniuses Mel Brooks and Buck Henry behind it. 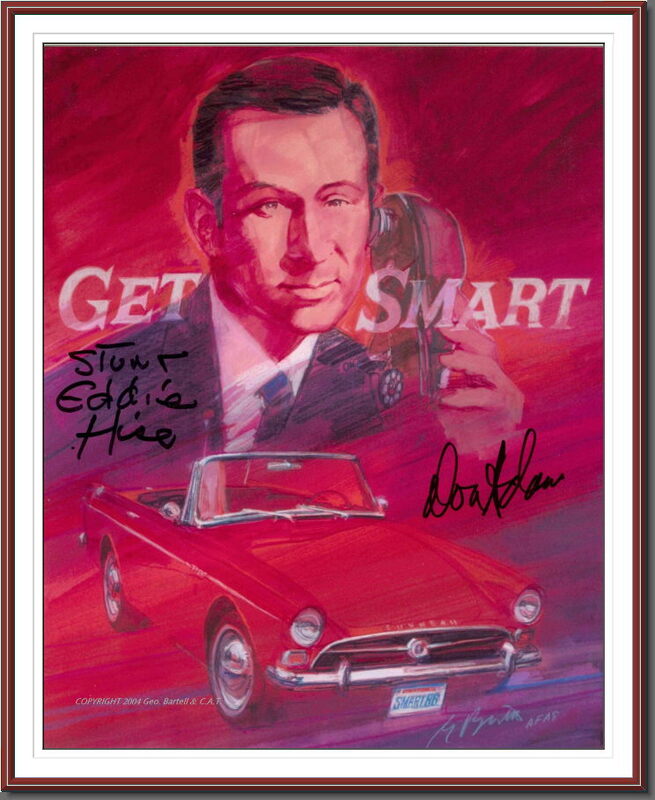 Thanks to Ken Orr, and CAT, this reproduction of the original signed Get Smart lithograph is being shared with you. Ken, and his stunt driver, Eddie Hise, were honored guests at a 2004 CAT Luncheon event and signed this rare poster. Very few signed posters are in existence. I understand that "Tiger Tales" will publish a memorial, with this picture, in the near future. Our thanks to Ken and CAT for sharing with the Tiger Community. 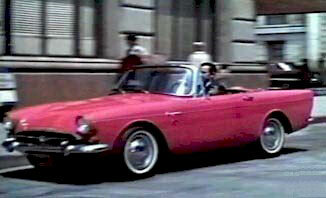 Don Adams drove a Sunbeam Tiger as Agent Maxwell Smart in the TV series Get Smart. In this James Bond send-up he used different cars in different year series. 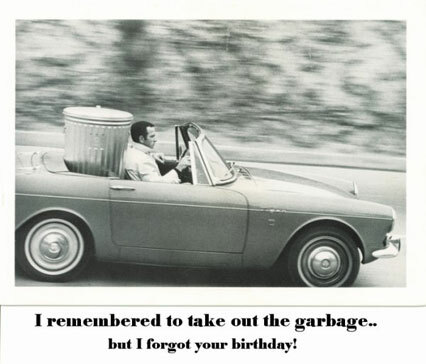 One was a Karmann Ghia VW. He liked the car so much, the story goes, that he was given it at the close of the series. Another tale says he bought it. It was said he lent the car to his daughter and she didn't take good care of it. It is also said he got it back, and still has it today. There were actually two Sunbeams used in the series. The second one was an Alpine that was outfitted with a machine gun that popped up through a door in the hood. No room in a Tiger engine compartment for this, so an Alpine was used for these shots. It is not known if there were even an engine in the Alpine. As "Agent 86" he was teamed with "Agent 99". Not bad work, if you can get it. Please Phone, when you find work! After the series Don did make TV advertisements for automobile parts store chain Chief Auto, in Los Angeles, using his Tiger. CBS commentator Andy Rooney, on "60 Minutes", also owns and loves his Tiger. TigersUnited.com will accept additional material/pictures on Adams and Rooney from contributors. Please contact the Editor with your interest. Do NOT send enclosures to this address.